According to researchers from the Indian Institute of Technology in Hyderabad, carbon from candle soot could be used to power the kind of lithium ion battery in plug-in hybrid electric cars. The authors of the study, Dr. Chandra Sharma and Dr. Manohar Kakunuri claim that their findings could open up possibilities for using carbon in more powerful batteries, which could drive down the costs of portable power. “We are very excited about the results. This new approach is very easy and the costs involved are minimal – it would make battery production cheaper,” said Sharma. Sharma estimated that one hybrid car would need ten kg of carbon soot, which would be deposited in about an hour using candles. Lithium ion batteries are used to power a wide range of devices, including smartphones, digital cameras, electric cars and even aircraft. The batteries produce current through two electrically charged materials suspended in a liquid. Carbon, which is used as one of the materials in smaller batteries, is considered unsuitable because of its structure in bigger and more powerful batteries, as it cannot yield the required current density. However, the carbon in candle soot is suitable for use in bigger batteries because of the shape and configuration of the tiny carbon nanoparticles, found Sharma and Manohar Kakunuri in their new study. It is also a scalable approach to making batteries, because the soot could be produced quickly and easily. "If you put a water droplet on candle soot it rolls off -- that's an observation that's been made in the last few years. The material candle soot is made of, carbon, also has electric potential. So why not use it as an electrode?" asked Dr. Sharma, author of the study from the Indian Institute of Technology. "We looked into it and saw it also shows some exceptional electrochemical properties, so we decided to test it further." 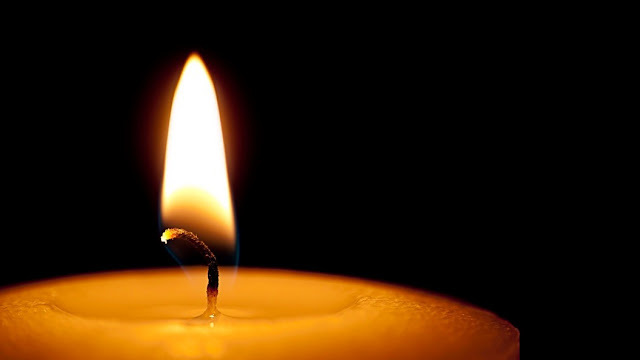 Soot, which is made of carbon, is produced when a candle burns. The team observed the soot collected from the tip and middle of a candle flame and compared the size, shape and structure of the carbon for the study. They found that nanoparticles of carbon that are 30 to 40 nanometers were formed by the burning process. They also found that the soot recovered from the tip of a candle flame, which burned at 1,400 degrees Celcius, made it perform better as an electrical conductor, as it had fewer impurities like wax. The researchers analysed the effectiveness of soot as a conducting material to use in a battery, using a technique called cyclic charge-discharge (CCD). Depending on the rate of charge or discharge, the method shows how powerful the battery is: the higher the rate, the more powerful the battery. Testing showed the candle soot worked best at high charge-discharge rates. Researchers published the results in the journal Electrochimica Acta. The researchers now plan to develop a candle soot battery to test the technology further. They are also looking at testing hybrid materials that contain candle soot to determine if they can make it better for batteries.